EFR courses meet the CPR and first aid training requirements for the PADI Rescue Diver course and all professional-level ratings. 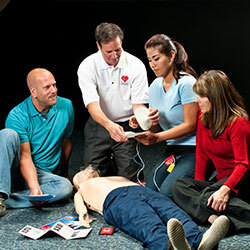 The course also meets training requirements for employment and work-place CPR and first aid. 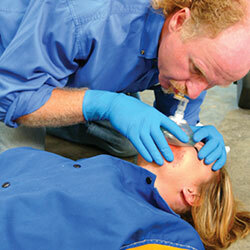 Most PADI Instructors are also Emergency First Response Instructors. The Emergency First Response (EFR) Primary and Secondary Care course is an accredited CPR and First Aid program that helps divers and non-divers advance their knowledge, providing the skills they need to potentially save a life. After you complete the program, you’ll have the skills necessary to help others should it be necessary. Working together, to make things better. It may come down to you. You may be the only link to providing help when help is desperately needed. By inviting friends or family members to sign up with you, those you care about the most will be better prepared in case of an unexpected emergency. Contact us today and after you complete the program, you’ll have the skills necessary to help others should it be necessary. Your Emergency First Response course fee includes course materials, supplies, and certification fee: $200.00 Discount offered for multiple enrollments.